JUKE 179r wrote: I believe I have the red circuit board v5.0. I’m in Berlin for the holidays so I’ll recheck the version, get some pics and get you a screen shot when I return home next week. 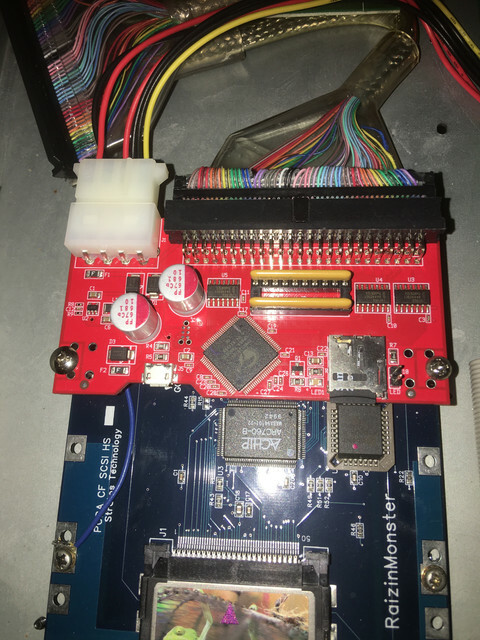 kraftywerk wrote: Juke, what rev SCSI2SD board are you using successfully? 5.1 or 5.0b? I confirmed that I do have the red SCSI2SD v5.0b that uses the micro SD card. kraftywerk wrote: Any way you could post a screenshot of your settings from the utils app? I’ll hook it up to my MBP and take pics. Thanks so much for the follow-up. I am wondering what is up with mine. I also see you have it being used with (chained or not?) a RaizinMonster. I wonder if that makes it play nicer? Hmm. It's a shame, mine does have interactions with the MPC, so they're trying to talk to each other, but almost always eventually freezes with the amber light on and locks the MPC, requiring a reboot. I'm about to give up on it but a screenshot would be great. I feel I've tried every permutation at this point. I don't want to jack the thread so feel free to PM if so inclined, but how's the RaizinMonster work? Can it do all that the SCSI2SD can, including hybrid partition you can then chuck into a Mac? I'm tempted to try it, although I also dread it's my MPC and nothing will work with it...though Forat swears it's in perfect working condition after overhauling it, including SCSI, which he tested with a variety of devices. Here’s the pix of the SCSI2SD util on my Mac for my 3000LE’s internal SCSI2SD with a 2GB SD card. I really, really, really shouldn't type this because I've typed it before only to have things fall apart but...IT WORKING. I had SCSI Parity enabled. Maybe that was it? Fingers crossed. @kraftywerk parity will improve the bus handshake in many cases. Other than that, are you running Vailixi or default? Vailixi. 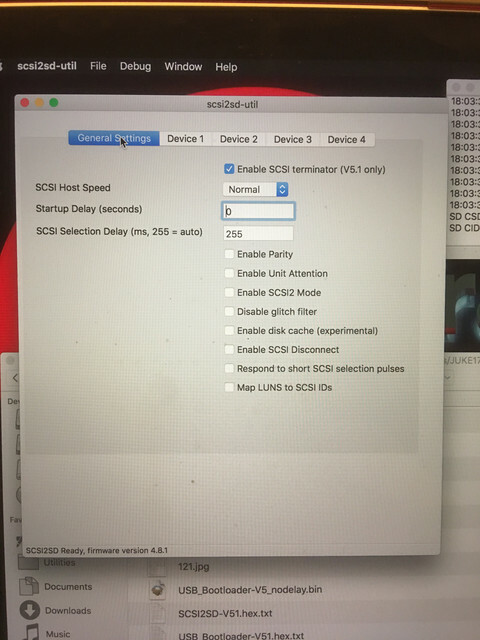 The only other changes besides turning off parity (from memory, not at studio) was turning off SCSI2 mode and changing speed from slow to normal. It was on slow at the recommendation of Mr. McMaster of SCSI2SD fame. kraftywerk wrote: I don't want to jack the thread so feel free to PM if so inclined, but how's the RaizinMonster work? Can it do all that the SCSI2SD can, including hybrid partition you can then chuck into a Mac? 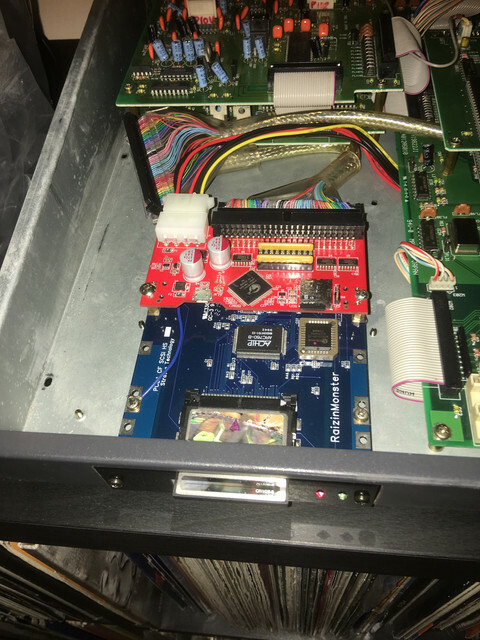 - It's hot swappable so you can keep reinserting a CF card from a computer and sampler and it will always be recognised. - It's hella cheaper than trying to buy and find the rare Microtech SCSI card readers. - It can be mounted in the same spot as a floppy drive with out buying an additional mount bracket. - Cosmetically it has a cool black cover on the front of it with LED's. - I've used it in a MPC2000XL (OS 1.14c with a 8GB CF card) and MPC3000LE (Vailixi OS 3.5 and hybrid partitions on a 2GB CF card) and the CF card worked on a Mac and PC. - It's double the price of a SCSI2SD. - You can't flash firmware updates like the SCSI2SD. - It's double to triple size lengthwise of the SCSI2SD depending which SCSI2SD version you buy. - No partition management programs/apps for the CF cards like the SCSI2SD util program. - It can't be buss powered by the 50-pin SCSI cable like the SCSI2SD. - I've read on other forums that it's picky on which CF cards will work in it. I only use name brand cards (Kingston & SanDisk) so I never had a problem. The SCSI2SD is failing again today. I can't **** believe it. It worked all day yesterday, then I turned the system off overnight and now it's freezing again. At this point, it's very hard not to blame the card. All other SCSI devices/cables work (both ZIPs I've tried) 100% of the time. I've tried different SDs. The fact that it worked perfectly yesterday then started screwing up today makes me feel like I'm out of variables to change/blame. Very odd and disappointing. Wish I knew what was going wrong. In my LE I've got the Artmix (Stratos Technology) MPC3000 SCSI Kit that I bought off of ebay for $49. I don't know if using that kit helps my SCSI2SD work. hey kraftywerk did you ever check if the fuse f901 is blown? i wrote michael at codesrc cause i was having alot of random errors with my scsi2sd drive, i have the same one as you do. "Remove the yellow terminating resistors from the scsi2sd board. The other side of the SCSI bus should still be terminated if the fuse is working. 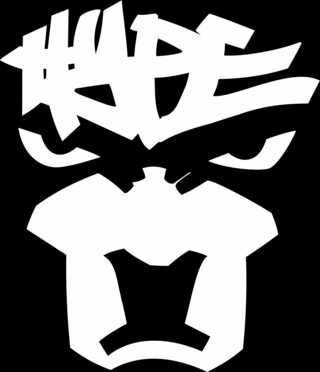 If the fuse is broken then the MPC3000 won't even find the device now." bjarnir wrote: "Remove the yellow terminating resistors from the scsi2sd board. The other side of the SCSI bus should still be terminated if the fuse is working. If the fuse is broken then the MPC3000 won't even find the device now." 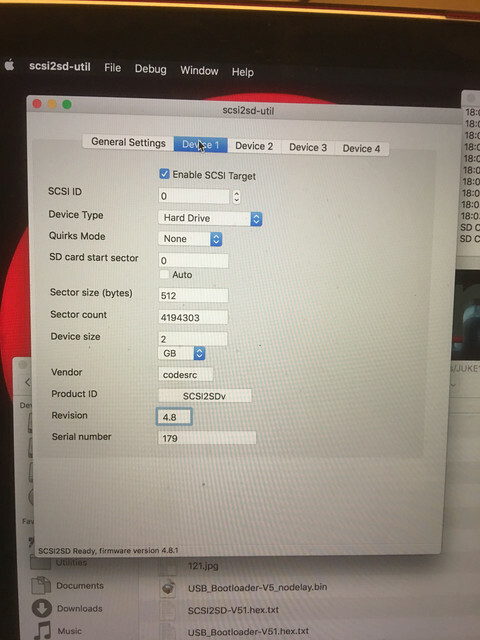 @kraftywerk , in the scsi2sd-util, Try unchecking the 'Enable SCSI terminator (V5.1 only)' box and check 'Enable SCSI2 Mode' under General Settings. and save to device. Thanks for the tip on 'multi sector transfer mode:off', that was a fix I needed. This may or may not fix your issue.